Dylan Hartley crossed as Northampton Saints ground out a first win under their new director of rugby Chris Boyd in a 25-18 Gallagher Premiership victory over Harlequins. Hartley scored soon after making his 56th-minute entrance into the second-round fixture at Franklin's Gardens as he continues his comeback from a concussion-enforced break from the game. It was a simple finish for the England captain, who touched down at the conclusion of a driving line-out, but the try arrived at a pivotal moment as Harlequins threatened a comeback inspired by Danny Care's jink over the line. Dan Biggar's haul of 17 points comprising of five penalties and a conversion was the most telling factor in the downfall of Quins, who slipped to a first defeat under their new boss Paul Gustard. The London club piled forward in the closing moments in search of the converted try that would secure the draw, but the home defence held firm and snatched a late turnover. 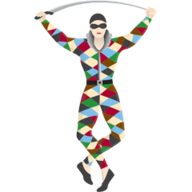 For all Northampton's early intent and flashes of ambition by Quins, last season's great underachievers who finished ninth and 10th respectively fought out a scruffy encounter short on quality. It was the first game since a bid by CVC Capital Partners to buy a 51 per cent share in the Premiership at a cost of £275 million came to light and having viewed this ugly spectacle, the private equity company will be all-too aware of the league's shortcomings. Marcus Smith made a try-saving tackle on Tom Collins in the opening seconds, but neither whitewash came under serious threat again before half-time. A decision to kick for touch rather than goal was greeted by a cheer from Franklin's Gardens but a Ben Glynn steal meant Northampton's endeavour went unrewarded. Smith punctured the steady flow of Saints attacks through a penalty as Quins showed a level of resilience that has been missing on the road in recent times. Ken Pisi took a blow to his hand and was replaced by Harry Mallinder, who showed some promising early touches as Saints pushed for the try that would reflect their control of the opening half hour. Courtney Lawes was as the centre of many of Northampton's finer moments but neither side covered themselves in glory through the skill levels on display. When Care and Smith made a high tackle on Piers Francis, Biggar was able to claim the lead for the first time with a long-range penalty and on the stroke of the interval he was on target again. 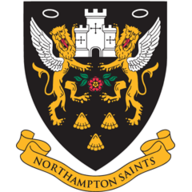 Scrum-half Cobus Reinach was held up over the line as Northampton attacked the second half with purpose but the accuracy was still lacking, resulting in a fourth Biggar penalty. Stung into action, Quins produced their best passage of play with No 8 James Chisholm instrumental in propelling them on to the front foot before Care squeezed over from close range. Saints responded with the line-out drive that yielded Hartley's try, but the tension rose when Biggar missed a tackle that enabled replacement full-back James Lang to race over and set up a nerve-jangling finale.